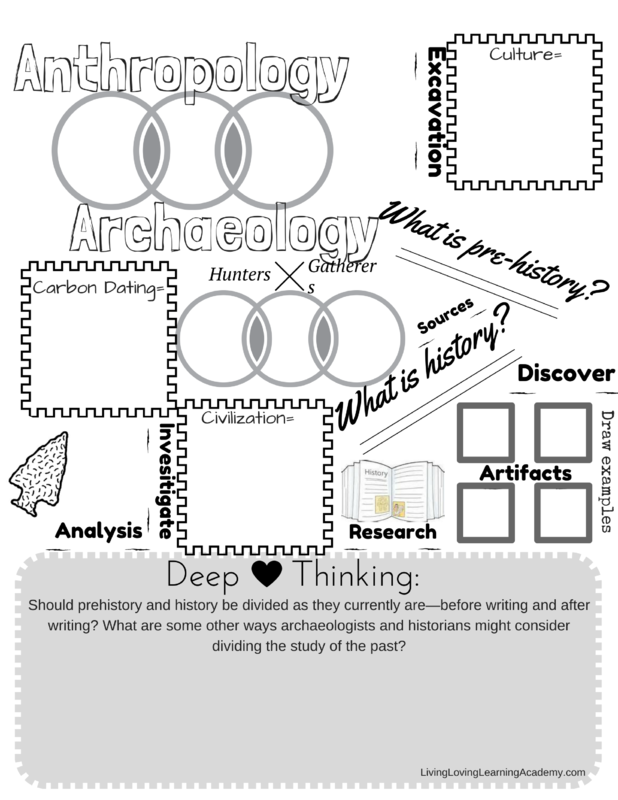 As I’m just starting to dip my toes into designing my own doodle notes and worksheets, I’m excited to share my first one with you! It would go along well with the introduction and chapter one of Story of the World as well. 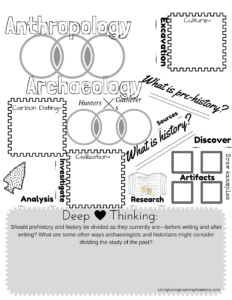 This one doesn’t have an answer key, but if used along with the resources for the introduction and chapter one of Story of the World, the prompts all came from those activities (specifically Khan Academy and reading about prehistoric humans and anthropologists).